Sam '76 Review: A New Revolution in the World of Beer? The Boston Beer Company regularly fiddles with their lineup. They come out with new stuff often and seeing a new beer with the Sam Adams label isn’t uncommon. But most of the time the new stuff is seasonals or limited edition offerings, rarely does The Boston Beer Company mess with its year rounds line. So, when I saw they’d added an all-new beer that was going to be available year around right from the get-go…. I took notice. The Boston Beer Company has been struggling a bit in the last couple years with their flagship Samuel Adams brand. Other parts of their portfolio are fairing somewhat better, Twisted Tea and, their new, Truly Spiked & Sparkling lines have bolstered flagging sales somewhat. But the mother ship, the beer line that started the company, has seen better days. Part of the problem, I think, is how big the company has gotten. 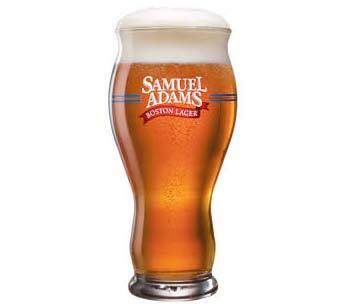 Many beer geeks out there just don’t see Samuel Adams as craft beer anymore. And with the ever-growing selection of craft beer dressing our bottle shop shelves… Samuel Adams can feel a bit old hat. Who wants to sit with their stuffy old uncle when all the new cool kids want to play? ….Although, I have to say I still visit the stuffy old uncle sometimes. Especially, by way of their variety packs; buying their winter/holiday variety pack is still a holiday tradition for me. There’s always one or two new things in there, along with some of the old favorites. I love it. Anyway, in hopes of revitalizing their core brand a bit, Boston Beer Company has released SAM ’76. 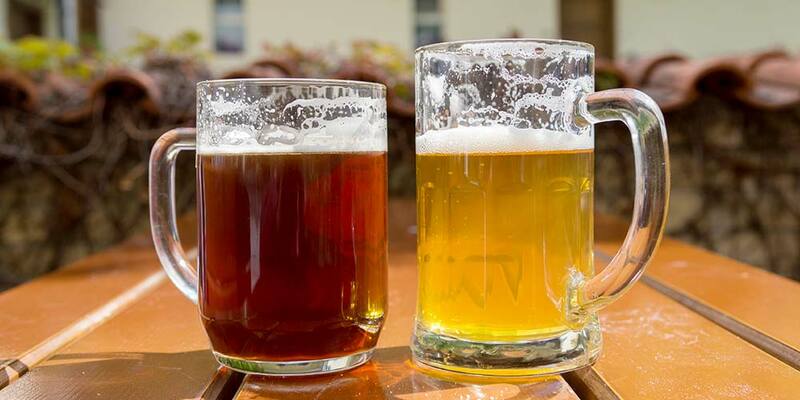 It is a hybrid between a lager and an ale. Sounds a bit like a Cream Ale, doesn’t it? Well, there are some differences. The beer, according to this interview, is started in two separate fermentation vessels; one with lager yeast and one with ale yeast. Then at some point, the two fermentations are combined and allowed to co-ferment to completion. Also, at some point in the process, dry hopping is added to the active co-fermentation. Interestingly, Jim Koch says the combined fermentation tends to pull some unique flavors from the hops. The company says it spent over a year running test batches, looking for the best point to combine the fermentations and add the hops. Below are the tasting notes I took while drinking Sam ’76. If you tasted this beer or have one in front of you as you’re reading this review, please share your thoughts with everyone down in the comments below. Sam ’76 pours a pale straw-golden tinged with a slight haze. Two fingers of big-bubbled soapy foam stack up forming a stark white two-finger head. Head settles in at about a finger and remains. Medium carbonation lazily climbs from the bottom. Light aromas of citrus in the form of sweet-orange and hints of lemon brush the senses. There are also soft whispers of stone fruit; mango and peach along with some floral notes. Behind it all is a running hint of doughy bread. Mouthfeel is more than I expected. Body is a solid, round and smooth, yet light; breezily quick-stepping across the palate. It’s got a slight chewy side to it that really augments the palate experience. Malt is first on the palate; with nice sweet grainy-dough, lightly-bread flavors. At the front, the hops display a light citrus. There’s also hints of that stone fruit, so prominent in the aroma. Bittering is low, but you know the hops are there all the way through… showing their flavoring side more than their bittering. End is crisp, clean. A low astringency hangs on into the aftertaste along with hints of graininess and light fruitiness. I enjoyed this beer. It has a very nice hop aroma, which translates, at somewhat a subtler level, into the flavor. The ale fermentation allows some nice fruity esters to develop, while the lager yeast brings its signature smooth creaminess, and a crisp finish. I was surprised by the developed light, but grainy/doughy mouthfeel, too. Sam ’76 would be a great beer for any kind of event where you’re likely to be drinking more than one or two beers; ABV is appropriately low for a session, but the flavors, cleaniness, body, and crispness keeps it interesting. I’d even bet your macro-drinking friends might enjoy this one. Bitterness is minimal, yet slightly higher than most macro beer and the floral and fruity flavors may change some false perceptions about hops. One thing worth noting, if you drink Sam ’76 when it’s “ice” cold, you’re going to be missing a lot of what makes this beer so good. To fully appreciate it, you should try to drink this one around 48° to unlock its true potential. Nicoli- thanks for your opinion of the Sam 76 product. Like you, I have dabbled in home brewing for many years, and can appreciate the differences between the macro and micro brew worlds. Having just choked down the first couple of a 12 pack of this 76 hybrid – i am totally unimpressed. This brew is not really “lemony” or “fruity” – this stuff is just plain SOUR ! In an awful way. Will never, ever drink another . Terrible concoction here. Go back to the drawing board, Mr. Koch. I agree Mike B….this beer is awful. Can’t believe this……….Sam Adams is a good brewer, until they made this crap. “They sent this to production?”. My jaw dropped!! To describe the taste as sour is the farthest thing iof how it actually tastes. You probably drank the beer at 120 degrees hot. Sam Adams was one of my first beers as I was coming up in the beer world, as it were. But I slowly crept away towards the California micro-brews over the years because Sam had it’s traditional Boston Lager and the season brews, but that was about it. I had to wait for specific seasonals to come out that I found myself drawn to tons of IPA’s that I’d lost a bit of intrigue with Sam Adams. ‘76 has recaptured my attention. It’s a fantastic beer all around. I like it’s subtle but obvious hopiness that lets you know the ale is present. It carries a certain undertone of citrus but flows smoothly with the lager that makes it easy on the palate and clean on the finish. I’ve had countless ales in my time, being nearly 40 years old now, and this brew has me smiling knowing it’s not just a seasonal or specialty brew. I’m ecstatic this beer is here for the long haul. I can confidently say it’s now my go-to for an every-day beer I can enjoy with or without cause for celebration. If you haven’t tried it yet, you’re truly missing out. Sam Adams has brought me back to the original large-scale micro-brew. i miss there black lager they only sell it in a multi pack shame i bought a case a week Sammys still better than the evil empire known as inbev !!! I am drinking my first 76. My first sip was a shock. I hadn’t read the label or anything about it so I was expecting a standard Sam Adams. The citrusy taste was a real pleasant surprise. There is a sour aspect to the taste toward the end of the swallow but it is not unpleasant. The mouthfeel is solid and smooth but the hops give it a little kick at the end. I really like it, especially as a part of a mixed twelve pack.